ALTHOUGH the realistic novel appeared in England in the middle of the eighteenth century and within a hundred years had made great advances in both England and France, it was not firmly established in the United States until after the Civil War. Our first three important novelists worked outside the realistic tradition. Cooper, influenced of course by Scott, introduced the romantic novel of frontier adventure, fathering a numerous but undistinguished branch of American fiction. Hawthorne, though an incomparably greater artist, left no direct descendants, perhaps because the very perfection of his delicate and bloodless allegories demonstrated the impossibility of further progress in that particular direction. Melville, too, stands alone, not merely our first but our only metaphysical novelist. The indirect influence of these men has doubtless been considerable; their direct influence has been slight. For certainly, whether we consider numbers or distinction, it is the realistic tradition that has dominated American fiction. Realism, in the sense or the term that was current at the time in England and on the Continent, appears, after the Civil War, in the work of William Dean Howells and Henry James. But there were differences apparent in the first novels of the two men, and these differences defined two schools within the one tradition. For James’s conception of realism much can be said, but the application of his theories, quite as much as temperamental predilections, took him abroad and alienated him from his native land. Howells was left, armed with a definite theory of the novel and a clear-cut program for the American artist. For three decades he dominated American literature; for half a century he was a figure to be reckoned with. It is this attempt to describe what he regarded as central elements in American life that distinguishes him from many authors of his time. It separates him not only from Henry James, but also from the local-color writers. To this flourishing school Howells, seeing in its work an attempt to deal honestly with American realities, gave his blessing. To an extent he was right, but there was a distinction he should have made. Most of these local colorists, though professing adherence to the canons of fiction Howells had advocated, were actually writing, not about contemporary life in the various sections, but about the life that had gone on a generation before. The much discussed weaknesses of the local-color novels come not so much from their authors’ provincialism as from their nostalgia, their refusal to contemplate the changing character of the section, their preoccupation with the glories of an earlier, pre-industrial age. To some of Eggleston’s novels, to such a book as Howe’s “Story of a Country Town,” to Mary E. Wilkins Freeman’s “Pembroke,” Howells could legitimately have given his approval. Such regionalism as this, with its honest portrayal of existing conditions, was laying the foundation for a true national literature, which would come when it was fully recognized that the section could be understood only in its relation to the larger unit. Retrospective regionalism, on the other hand, was a retreat from contemporary con- fusion; as a movement it ended in mere quaintness. Howells’ failure to distinguish between the two types of sectionalism did not prevent him from carrying out his program, and as the local-color school declined, the vigor of the tradition he had founded became more and more apparent. He began, as did the better regionalists, with the portrayal of the life about him, but, because of his urban experience, he came much more quickly than they to the realization that he was depicting a nation in the throes of revolution. He saw that the country was changing from a federation of relatively isolated sections to a centralized nation, was losing its racial homogeneity, was becoming a stratified plutocracy. Because he felt, however confusedly, that there was no other way of understanding men and women, he tried to reveal these changes and the forces behind them as they affected the lives of his characters. If he failed, it was not because his aims were wrong, but because the task was too much for his powers. Howells suffered from two sorts of disabilities. On the one hand, he fully shared the prudery of his age, temperamentally preferred to deal with the more cheerful aspects of life, and seldom mingled with either the ruling class or its direct victims. For these reasons he could render only in part the kinds of experiences that were most representative of the struggle he sought to describe. On the other hand, he had no fundamental clue to the meaning of that struggle; he had never undertaken the studies that would have equipped him to understand the changes he perceived. At times he caught a glimpse of the real issues, but there was no steady light to illuminate his pages. As a result, his most ambitious books, such as “A Hazard of New Fortunes,” are the least unified and, in their totality, the least effective. The story of American literature in the last forty years is primarily the account of the struggle to overcome these weaknesses. As was natural and perhaps necessary, the first victories were those that led to the broadening of the scope of the novel. In the nineties Victorianism and the genteel tradition were breaking down, and new schools of fiction arose. 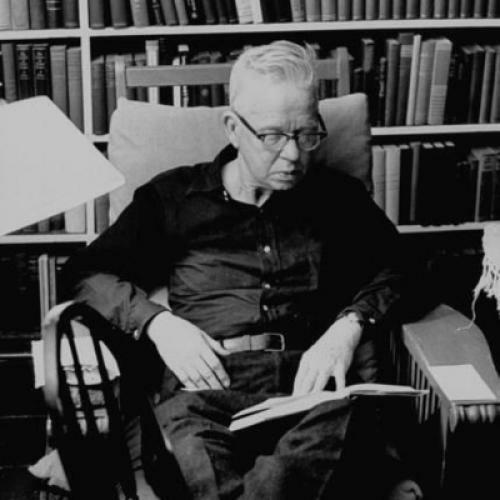 But the most enduring work of the decade was done by three writers who remained loyal to Howells, and were praised by him, though they sought to transcend his limitations. Hamlin Garland, his awareness of the sufferings of his family and friends sharpened by his experiences in the East, gave, in his early short stories, a bitterly honest account of hardships on the middle border. Knowing well the kind of life he described, and refusing to compromise with sentimental optimism in his account of it, he simply swept away, in “Main-Traveled Roads,” the old habits of timidity and misrepresentation. In “Maggie” Stephen Crane performed the same task, and took a short step towards the breaking down of hypocrisy and prejudice. Frank Norris, after first yielding to the romantic qualities in his nature, stiffened the realistic method with a strong mixture of Zolaesque naturalism. For one reason or another none of these writers accomplished so much as he had promised, but they had brought into fiction great segments of experience that, despite their obvious importance, Howells had ignored. They were, however, no more successful than he in discovering a point of view that would help them to understand the American chaos. Crane, journalist to the end, was scarcely aware of the problem. Garland, relying at first on bitterness to give point to his fiction, lost himself, once that bitterness had been dispelled by his personal success, in a vaguely humanitarian patriotism. Norris, who clearly saw what the problem was, confessed his defeat when he wrote that extraordinary passage at the end of “ The Octopus” that hymns the inevitable triumph, through the mechanical operation of natural forces, of right over wrong. During the muckraking decade the bulk of fiction was concerned with the contemporary scene, and at last the real rulers of America began to appear in novels. If the controlling phenomenon in American life was the rise of industrialism, then the fiction of Herrick, Phillips, Sinclair and Churchill was establishing itself at the very center. Whatever else had happened, Howells’ conception of the province of the novel had triumphed over every other tradition. And yet the first decade of the century was almost barren of real literary achievement. The blame could no longer be placed on lack of experience, for most of the muckrakers had had direct contact with both political and industrial struggles. For the most part they did not hesitate to portray ugliness and cruelty. Even prudishness, though strong, was losing ground in its attempt to restrain literary expression. But their failure is obvious and the reason for their failure is clear: the muckraking decade was the muddled decade. Whether the novelists of that decade followed Roosevelt as Churchill did, or attempted like Upton Sinclair the unimaginative application of socialist dogmas, or shrank with Herrick from the consequences of industrialism, or vacillated as Phillips did between sensational journalism and the preaching of panaceas, they betrayed their confusion on every page, and the centrality of their themes only called attention to their bewilderment. They could not master the chaos of American life, and that explains the chaos of their books. If, then, the superficial obstacles to the realistic novel had been eliminated, if the novelist was able to write with both authority and frankness about the major movements in American life, and if the result was nevertheless thoroughly disappointing, it is no wonder that the validity of Howells’ aim began to be questioned. Certain of the more recent novelists have more or less completely broken with the tradition he established. Edith Wharton, for example, has continued the Jamesian tradition, an awful indication of what James might have become if he had stayed in America. Hergesheimer and Cabell have, in their different ways, given us romantic fiction, more sophisticated and slightly more palatable than that of the nineties because based on avowed rather than unconscious disillusionment and defeat. Willa Cather, unable to make the transition from the West of her childhood to the West as it exists today, has achieved a kind of synthetic beauty by writing about the remote past. One by one these writers have demonstrated that, difficult as it may be to write about the central movements in American life, it is nothing short of disastrous, if one has any concern for artistic integrity, not to write about them. Beside these writers we may place three of their contemporaries—Dreiser, Lewis, Anderson. Here, despite all changes, the old patterns repeat. In the attempt to give the exact accents of common speech and to reproduce the precise mannerisms of familiar conduct, pages of Lewis’ novels echo pages of Howells’, though they differ often enough in the judgments they pronounce on what they both portray. Dreiser works on a larger scale the objectivity of Crane’s “Maggie” and Norris’“ McTeague.” Both Lewis and Anderson share with Howe and Garland the desire to show how the real life of agricultural sections differs from the pretty pictures of sentimental local colorists. And of course the fundamental intention of these writers, setting them off from their contemporaries, links them with the muckrakers, with the rebels of the nineties, and ultimately with Howells. What more than anything else they have wanted to do is to write about American life as representative Americans, as representatives of the two great classes of the exploiters and the exploited, are living it. All three of these men have done work that the immediate future is not likely to forget, but the last five years have been full of indictments of their failures. Their failure is the same old failure to achieve order, form, significance. But too often the critics do not recognize that the problem is not exclusively literary. After all, one cannot achieve form by fiat; it is not something that is imposed upon materials from the outside; rather, it is the literary expression of perceived relationships. What is commonly called and what in this essay we have termed the American chaos is not really chaos; there is order, but it is not perceived. Unless order is seen, all talk of imposing form is folly. Dreiser, Lewis and Anderson, perceiving no fundamental relationships, seeing no unity in the phenomena they portrayed, would have been dishonest if they had attempted to impose an artificial unity. Dreiser, muddle headed though he is, has perhaps been the clearest sighted in practice, for he has admitted his confusion, massing his materials in a disorder of which his style is symbolic. Anderson, struggling against his own impulses to shrink from all that our industrial civilization involves, has given plentiful evidence of the way in which the conflict has checked creative activity. Both he and Dreiser have recently disavowed their old confusions and hesitations, but their earlier attitudes seem likely to continue to dominate their fiction. “Beyond Desire,” certainly, though it reveals a kind of progress, marks no drastic change in Anderson’s way of thinking or style of writing and, what ever he may do in the field of action, it is doubtful he can ever free his imagination from its burden of doubt and bewilderment. As, for Lewis, he shows no sign of realizing that he is in the same maze as the people he describes; and it cannot be denied that his condition explains the superficial verisimilitude of his descriptions. When one thinks of how much effort has been expended in this kind of writing and of how little it has directly achieved, it is not surprising that many of the authors who have come to maturity in the last decade have rejected the aims of the Dreiser-Anderson-Lewis group. The fact that they have so obviously failed to achieve formal significance has encouraged writers such as Thornton Wilder to work for perfection of form at the expense of all else. The weakness of novels about industrialism has confirmed Elizabeth Roberts and Glenway Wescott in their choice of other topics. And, as Miss Roberts has revived regionalism—with many of the earlier faults, by the way—so Faulkner has appeared in the tradition of Poe and Bierce. Surveying the twenties at their close, critics argued, and with much justification, that the Howells tradition had been momentarily, and perhaps permanently, submerged. But there was a writer in that tradition, one whose importance is receiving growing recognition. Curiously enough, Sinclair Lewis singled him out in 1925, saying that John Dos Passos’ “Manhattan Transfer” was a suggestion of what the future might develop in fiction. Dos Passos stands squarely in the major tradition, for, far more than any other recognized writer of our generation, he is dealing with representative men and women in representative situations. And not only is the tradition continued in his work; it moves towards its consummation. Equipped with a many-sided knowledge of American life, and unhampered by either reticence or superficial optimism, he is also feeling his way towards an interpretation of American life that enables him to bind together in a literary unit its diverse phenomena. It is not to be supposed that Dos Passos has completely triumphed over his difficulties. He has found ways of portraying the complexity of American life, but he has not altogether succeeded in showing the unity that underlies that diversity, Yet he has been successful enough to indicate the point at which an artist must stand if the pattern of our life is to take shape in his imagination. Dos Passos’ fundamental discovery is that American life is a battleground, and that arrayed on one side are the exploiters and on the other the exploited. He has seen that the alignment is not always clear, that many men are divided in their loyalties, that each side is rent by internecine conflicts. But the great fact is none the less real, for the patient mind and the active imagination it is the key to the labyrinth. If there is any other working interpretation of the apparent chaos than that which presents itself in terms of the class struggle, it has not been revealed. On the other hand, the pragmatic value of that interpretation is apparent in “The 42nd Parallel” and “1919.” Nor does Dos Passos stand alone. The same attitude is apparent in some of the work of John Herrmann, Erskine Caldwell and Robert Cantwell, and it is the shaping spirit of three recent novels of Southern labor—Fielding Burke’s “ Call Home the Heart,” Grace Lumpkin’s “ To Make My Bread” and Myra Page’s “ Gathering Storm.” Such books show that this interpretation is not an open sesame to literary excellence; they show that even a skillful writer may meet with difficulties that he cannot solve. But at the same time they indicate that, as the conception of the class struggle permeates the imaginations of artists, as they come to look naturally and effortlessly at events in its light, the liberation of American literature from confusion, superficiality and despair will have begun. The discovery of the class struggle as the fundamental interpretation of American life presents a further problem to the artist, the problem of his own position in the conflict. Not only Dos Passos but the other novelists of the struggle, as well as Dreiser and Anderson, have solved that problem by placing themselves on the side of the proletariat, working for and with them and seeking to see life as they see it. Is not this the only logical position for the artist who understands the implications of the class conflict? After all, the American artist for over a century has constantly criticized the ideals of the bourgeoisie, and this criticism has steadily increased in bitterness. Long experience shows that for the artist there is no health in the bourgeois way of life. If, then, the issue is clearly presented, if it is fully realized that in this war, as in any war, there is no such thing as neutrality, can artists hesitate to ally them selves with the proletariat? Of course they can and will, many of them, impelled by forces stronger than reason or the desire for understanding; but is not the price they will pay sufficiently indicated in the history of our literature? After all, for the realistic novelist the idea of an alliance with the proletariat is not new. Intellectually, Howells was not far from that solution of his difficulties, as his “Traveler from Altruria” shows, though it was impossible for him imaginatively to accept the consequences of his theories. Garland, for a few years, thought and wrote as one of an oppressed class. The muckrakers, confused as they were, saw the failings of the capitalists, and some of them saw the failings of capitalism. The sympathies of Anderson and Dreiser have always been, and now of course more strongly and than ever, on the side of the exploited. Dos Passos, then, and his fellow pioneers, by finding in the proletarian point of view a solution for their problems, have not gone outside the tradition. Rather, they have fulfilled it the more richly, not merely carrying out its aims, but also more completely expressing its spirit. Thus they make doubly clear what the basis of the tradition is and give double assurance that in it lies the hope of our literature.